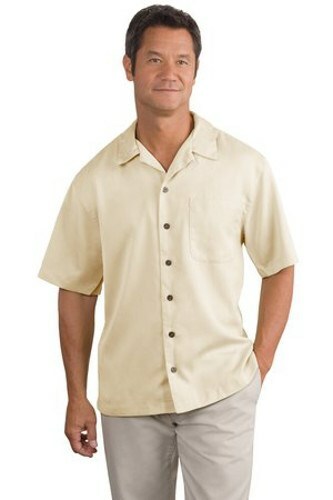 This camp style shirt from Port Authority has easy care technology that will help keep you clean and stain free. Due to the time it takes to produce the Port Authority Mens Easy Care Camp Shirt Ivory ball it will ship in 1-2 weeks. We cannot ship this ball outside the United States.